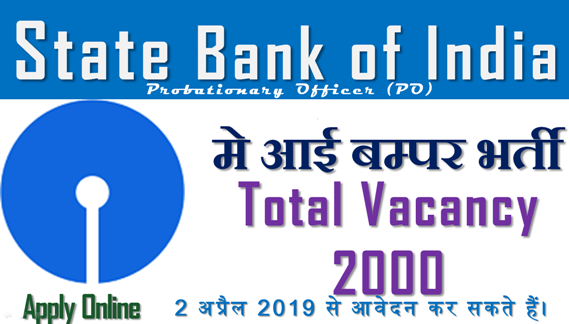 State Bank of India (SBI) invites online applications from qualified candidates for the posts of 2000 Probationary Officers. The applications have to be submitted online on the official website of SBI. Selection will be based on Preliminary Online Examination, Main Online Exam, Descriptive Test and Interview.